You are making change happen. Yes, you heard us - YOU. It seemed like such a daunting task just more than a year ago when The ENOUGH Campaign began in a living room of several concerned neighbors coming together to ask ourselves, "What can we do to stop gun violence?" Your passion and perseverance is proving fruitful: making those phone calls and tweets to our lawmakers, volunteering at events, emailing us questions about how you can help, all came together when we witnessed Stamford Mayor David Martin stand up to gun violence and acknowledge that he is duty-bound to do everything in his power to protect Stamford, CT residents, especially its children, from harm: and there is no greater threat to public safety than the threat of illegal guns. These past few weeks have been a whirlwind: Mayors Against Illegal Guns welcomed their latest member Mayor Martin, Team 26 kicked off their 400 mile ride from Newtown to Washington DC with much fanfare and support from thousands of CT residents, lawmakers across the country introduced bills to repeal Stand Your Ground Laws, and more. But according to the Gun Violence Archive, 3,057 people have been injured by gun violence in America and 1,863 have been killed since Jan. 1, 2014. Our work is far from over, but it is heartening to see that if we take a stand - if we let our voice be heard and we keep pounding on the door of change - we will surely transform our communities into safer, more inviting places to live and raise our families. Read the teasers below, or just skip right to our latest newsroll with all the urgent details you need to know now! Thank you for putting the wheels in motion for a greater tomorrow. STAMFORD, CT - Mayor David Martin joined Mayors Against Illegal Guns this past Wednesday, the national bipartisan coalition of mayors across the United States fighting for common-sense gun laws that will save lives by keeping illegal guns out of dangerous hands. The Mayor was joined by representatives from Mayors Against Illegal Guns, The ENOUGH Campaign, Brady Campaign, Moms Demand Action, Connecticut Against Gun Violence, and Women on Watch. The Enough Campaign co-organized Wednesday's event. 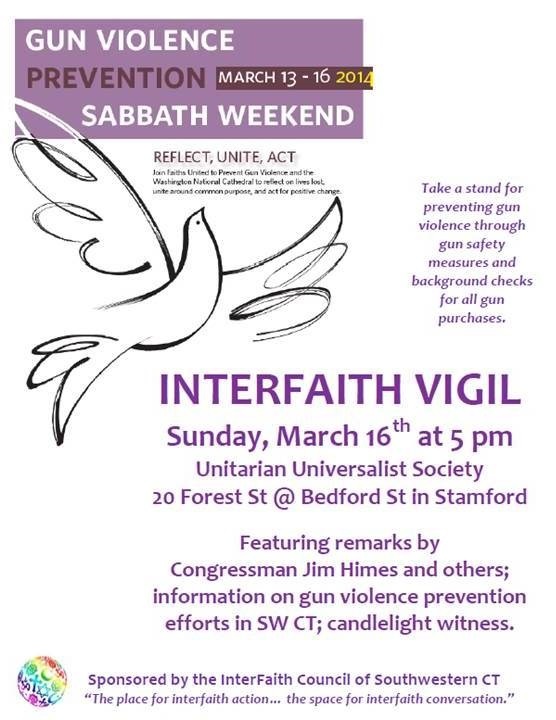 "Gun violence shakes the foundation of our community. It tears apart families and paralyzes our neighborhoods. It cannot be tolerated," Martin said. "I stand here today to communicate a simple message: It is time to end gun violence. Enough is enough." 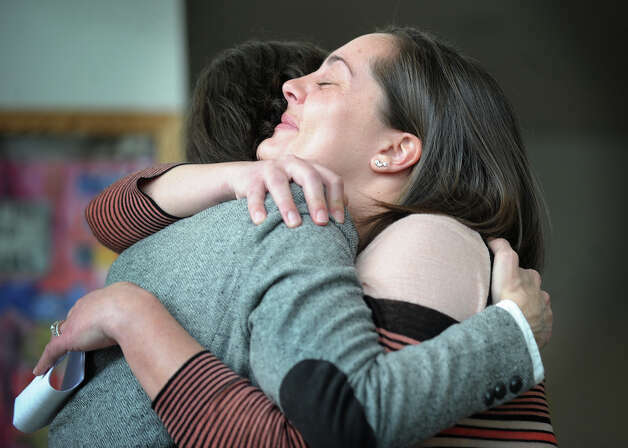 Erica Lafferty, whose mother, Dawn Hochsprung, was killed in the 2012 mass shooting in Newtown, spoke Wednesday on behalf of Mayors Against Illegal Guns. Hochsprung was the principal of Sandy Hook Elementary School and one of the first people killed when the gunman entered the building. "I have seen gun violence tear apart families, tear apart schools, tear apart communities," Lafferty said. "My mom died in the front hall of her school trying to protect the staff and students she so dearly loved." Click here to read the full story and watch the slide show. Bank of America: It's Un-American to Profit from Gun Violence! Repeal Stand Your Ground Laws! There ARE Responsible Solutions to Gun Violence. The ENOUGH Campaign supports the mission of Americans for Responsible Solutions. We recently attended a fundraiser for the gun reform organization, where we met Gabby Giffords and heard her speak along with Pia Carusone, the Executive Director of ARS. "The last few years have been hard: Stopping gun violence takes courage to do what's right and new ideas: Be bold, be courageous, the nation is counting on you," said gun violence survivor and former Rep. Gabrielle Giffords. Ms. Giffords has a book coming out, aptly titled "Enough: Our Fight to Keep America Safe from Gun Violence". Click here to learn about the release date and for more exciting news. But the underlying message is poignant. We hope that people will make better choices. This video was created by an organization called Evolve. They aim to be the "third voice" in the gun reform movement. One hundred young leaders of tomorrow traveled to Washington, D.C. this past weekend for the Generation Progress and the Center for American Progress' #Fight4AFuture Gun Violence Prevention Summit. Among the attendees was Sarah Clements, Newtown High School Senior and daughter of Sandy Hook survivor. 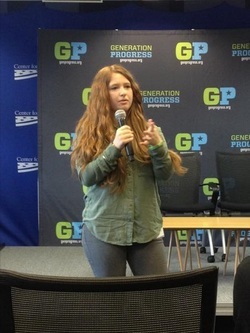 Sarah is a student activist for safer communities and is the Junior Newtown Action Alliance founder and chair. The future is now: click here to read more about how these young leaders are already transforming our country! Three hundred and fifty supporters of Connecticut Against Gun Violence gathered this past week in Stamford for their annual fundraising luncheon. A packed room heard event organizers reflect on how attendance at this event has grown exponentially in the past few years, a sign everyone agreed was highly encouraging. Members of congress and relatives of gun violence victims gathered in Washington this past Friday to mark the 20th anniversary of the Brady Handgun Violence Prevention Act, and to push for stronger background checks. "But I want to encourage everybody, that just because there's public outcry doesn't mean we're going to get a bill passed. It takes work and it takes time, and it takes persistence. "It is and can be a long process. I want you to not get discouraged at all. Just remember seven years [it took us] and you're going to do it quicker. Beat my record." We'll take that as a challenge, Ms. Brady... Take the challenge with us! "Like most little boys, my son Daniel loved getting muddy. He also loved doing things as a family, which is why the Daniel Barden Highland Mudfest, scheduled for Saturday, April 5, is such a perfect way to honor his memory while fulfilling our own promise to build a safer world for all children." Join the Barden family in celebrating Daniel's life and raise funds for worthy causes. Click here for more info.